Intuitive Yoga is movement with meaning. Through movement we remember that our essence is wise, wild and free. This afternoon of yoga will feed your body, mind, heart and intuition. A nourishing and invigorating yoga practice that will sweetly guide your senses inward for a deeply tranquil meditation. and let’s not omit… the laughing a lot bit! "Adriana Cortazzo walks her talk like no other Yogini that I have ever met. 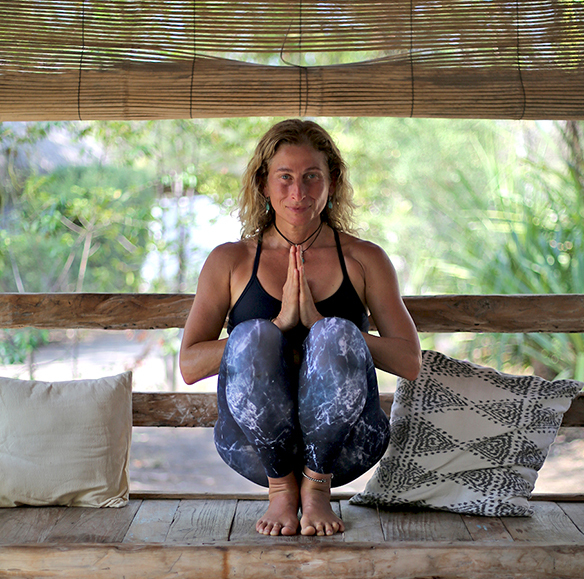 You can feel it in her energy and presence and her passion for Yoga is unsurpassed. Adriana sees every individual as unique and treats them that way always giving them an experience that connects directly to their heart"
All welcome... No previous experience is required.